A solid Oak underframe with clean Nordic lines, what's not to like with The Norwood Sofabed from Gallery Direct! It's made in a wide choice of materials too and even has a choice of different mattresses for the metal framework mechanism. All prices include VAT and we offer free full home delivery across mainland England, Wales & Southern Scotland. We unpack all the furniture and takeaway the extensive packaging for you as well. 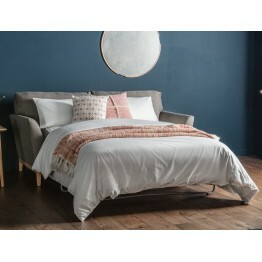 Over the course of a year delivery times do vary from Gallery, but tend to average out at around 2 - 4 weeks for sofabeds. If you need it quicker please do call us as we often have these in our warehouse for quick delivery. 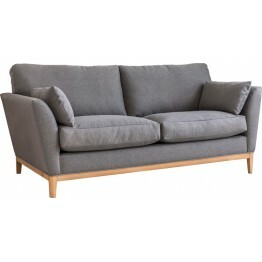 The Norwood Sofabed comes with a full metal action that unfolds from underneath the seat cushions, a..